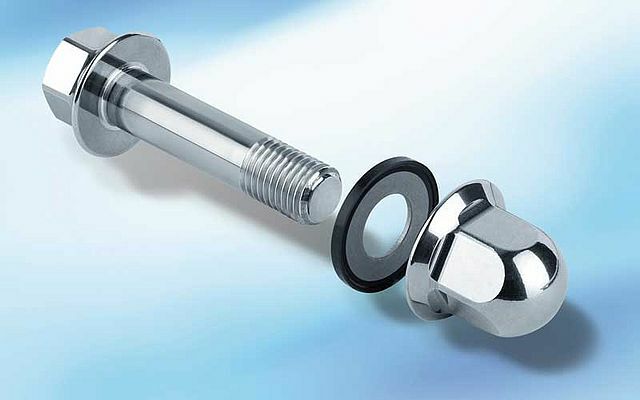 By employing Hygienic Usit sealing washers from Freudenberg Sealing Technologies in combination with special screws and cover nuts, being known under the brand name NovoNox from KIPP Werke, entire screw connections can be achievable in line with hygienic design principles. There are many examples of open processes in the food and beverage industry. A prime example is the ‘conching’ of chocolate, which typically takes place in areas of the plant that are not closed off from the surrounding environs, hence are essentially ‘open’. There is of course one notable caveat with using open facilities in food manufacturing – such areas must be routinely and intensively cleaned and sterilised in accordance with the relevant hygiene standards. As the food and beverage market demands a high level of consistency in product quality, food safety and taste, it does not afford any room for error in the production process. With this thought in mind, the use of sub-standard products or methodology in Open Plant Cleaning (OPC) processes, may put at risk the brand reputation and revenues of the manufacturer. OPC processes envision the cleaning of all surfaces without the need for disassembly or breakdown of the area. Various types of centralised, decentralised and mobile cleaning systems are often used for this task. Here, screw connections within the equipment must be protected from contaminant adhesion and any consequent microbial exposure. Furthermore, screw connections need protection against any potential ingress of aggressive cleaning agents, as well as the spray disinfectant that typically follows. Hygienic Usit EHEDG-compliant washers comprise a flat metal gasket with a vulcanized trapezoidal elastomer bead that forms a dead-space freeform closure with the screw’s flange seat. Importantly, the hexagonal screw with flange – as well as the flange cover nut – are polished to a high-gloss finish with a maximum roughness of just Ra < 0.8 µm. Thanks to a special process that takes place during manufacturing, the screws are produced without sharp ridges, die marks or uneven head contacts. In tandem with the Hygienic Usit, the screw ensures that a completely sealed screw connection is produced, providing complete peace of mind as impurities cannot adhere to – or penetrate inside – the cleaning equipment. As a point of note, the standard sealing bead, which is manufactured from 70 EPDM 291, complies fully with FDA and EC Regulation 1935/2004, and is non-hazardous according to USP Chapter 88 (Class VI – 121 °C) and NSF 51. Importantly, 70 EPDM 291 is not affected by aggressive cleaning and sterilisation products, even at elevated temperatures. For demanding applications in the food and beverage industry involving fatty and/or aggressive media or very high temperatures, a metal-bonding version made of Fluoroprene® XP 45, a fluorinated material, is available. It also fully complies with FDA, 3-A® Sanitary Class I and EC Regulation 1935/2004. In addition the elastomer bead can be manufactured from white EPDM 253815, for special demands in the pharmaceutical industry. The Hygienic Usit® is available in M4, M5, M6, M8, M10, M12 and M16 sizes. The M4 washer can also be used for M3 screw connections.